A while back, a friend of mine asked me: “How do you deal with people who are completely pro-Israel, thinking that we [the U.S.] had better be on their side come Armageddon?” Since I did not feel equipped to engage the eschatological aspect of this question, I began talking about Jeremiah 24. If you want to understand why, buckle up for a deep dive into exegesis and read on. The book of Jeremiah gives the account of a prophet who ministered to Judah during the build up to, and the fall out from, the fall of Jerusalem in 587 B.C. As the son of Hilkiah, Jeremiah was of a priestly lineage, though Solomon had long ago deposed his priestly ancestor for his partnership with rival Adonijah. Jeremiah was born in Anathoth, three miles north east of Jerusalem in approximately 645 B.C. near the end of Manasseh’s reign. He began his ministry thirteen years into Josiah’s reign, in 627 B.C. and he witnessed the reigns of last kings of Judah. He saw Nebuchadnezzar’s devastating defeat of Jerusalem and the first wave of exile in 597 B.C.E after which the elite of Jerusalem were dragged off to Babylon. After this he pleaded with King Zedekiah to submit to Babylon, but he revolted none-the-less and brought upon Jerusalem destruction that the Jews of his time considered theologically impossible. Jeremiah prophesied during troubled times indeed. He spoke to kings and priests who were leading Israel headlong into the judgment of God, who faced his wrath rebelliously, rather than humbly. Jeremiah struggled to interpret for the exiles, and those who remained, what had happened. Why had God not protected his people and his temple? Had God abandoned them and his covenant altogether? Jeremiah’s answer to this later question involved a surprising new election of God’s people. Jeremiah 24 provides a powerful image illustrating God’s selection of a new people who would receive the promised blessings of his covenant. If you're going to read on, you really need to read Jeremiah 24, so here it is. 1 After Jehoiachin son of Jehoiakim king of Judah and the officials, the artisans and the other skilled workers of Judah were carried into exile from Jerusalem to Babylon by Nebuchadnezzar king of Babylon, the LORD showed me two baskets of figs placed in front of the temple of the LORD. 2 One basket had very good figs, like those that ripen early; the other basket had very bad figs, so bad they could not be eaten. 3 Then the LORD asked me, "What do you see, Jeremiah?" 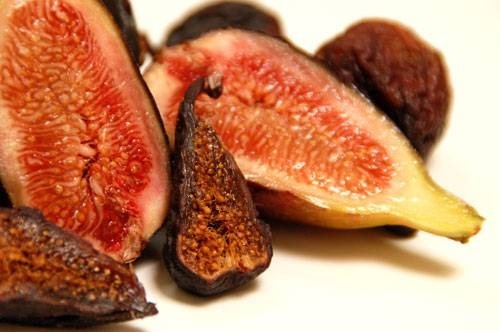 "Figs," I answered. "The good ones are very good, but the bad ones are so bad they cannot be eaten." 8 " 'But like the bad figs, which are so bad they cannot be eaten,' says the LORD, 'so will I deal with Zedekiah king of Judah, his officials and the survivors from Jerusalem, whether they remain in this land or live in Egypt. 9 I will make them abhorrent and an offense to all the kingdoms of the earth, a reproach and a byword, a curse and an object of ridicule, wherever I banish them. 10 I will send the sword, famine and plague against them until they are destroyed from the land I gave to them and their ancestors.' "
Jeremiah’s vision of figs embodies the dual themes of God’s rejection and God’s election. Jeremiah’s task is parallel to God’s. Jeremiah is to uproot and to plant, because God has rejected Israel and also elected a remnant from Israel. As a piece of the whole book, Jeremiah’s vision of figs serves to announce God’s new plan: God will transfer his covenant blessing to a select, and surprising group, leaving the remainder to receive God’s wrath. It is important to know that Chapter 24’s genre is vision report. This vision gives a potent image of dichotomy, of blessing and curse, and offers an interpretation that makes clear that the most important choice belongs to God. V.1a The mention of “figs placed before the temple” is very likely suggestive of offerings of first fruits such as prescribed in Deuteronomy 26:5-11: “So now I bring the first of the fruit of the ground that you, O Lord, have given me.” It also is reminiscent of a similar vision of Amos who sees “a basket of summer fruit”. The interpretation of Amos’ vision relates to the season – it is summer and that means it is judgment time. As we have seen Jeremiah’s vision of fruit also connotes a definite season, the time of the harvest. As will become apparent, this too is a season of judgment. V. 1b Jeremiah interjects his report by alerting the reader to the historical events which preceded the vision. The first wave of exiles had been taken to Babylon in 597 B.C.E. It is necessary here to provide a sketch of the events that led up to this first wave of exile. According to 2 Kings 21, Manasseh, the king at the time of Jeremiah’s birth, had wickedly undone all the reforms of his father, Hezekiah, and plunged Israel into “pagan cults and practices on a scale hitherto unsurpassed in Judah.” During Manasseh’s reign (687-642) Judah was a vassal state of the Assyrian empire which had destroyed Samaria in 722 B.C. Manasseh’s son and successor was assassinated, and eventually his grandson, Josiah came to the throne at the age of eight. As a courageous political leader, Josiah threw off the yoke of Assyria whose power had waned because of internal struggles around 630 B.C.E. Along with his political courage, Josiah showed zeal for religious reform like his great grandfather Hezekiah. With the discovery of the Book of the Law, most likely Deuteronomy, in 622 B.C.E. Josiah began to centralize worship in Jerusalem, as well as to eradicate the various forms of pagan worship. Josiah met his end in 609 B.C.E attempting to stop Egypt from assisting Assyria in fighting off the growing Babylonian empire. The victorious Egyptians replaced Josiah’s chosen son with another of his sons, Jehoiakim, who unlike his father was a tyrant who allowed Josiah’s reforms to lapse. Jehoiakim was the target of much of Jeremiah’s scathing condemnation. Jehoiakim temporarily submitted to the growing power of Babylon, but when he rebelled Nebuchadnezzar finally conquered Jerusalem in 598 B.C.E. and sent the first group, the best-educated of Judah, into exile in Babylon in 597 B.C.E. It is notable that these exiles were not a random sample, but the cream of the crop – the king and his officials, artisans and smiths. There are differing accounts regarding the number taken into exile in this first wave. According to Jeremiah 52:28 only 3,023 Judeans were taken to Babylon, a number which is small in comparison to the 10,000 captives in 2 Kings 24:14. Certainly, these events would have been a major disruption for all Judah, raising numerous questions and calling for theological answers. No doubt, Jeremiah, as he was receiving this vision, was filled with questions himself. He must have expected that whatever God was revealing to him, is would probably shed light on this event. This vision, we are lead to believe, is going to speak not only about these events, but will commission Jeremiah to give answers to those in exile and to those who remain in the land under Zedekiah’s leadership. The popular theological understanding of these events was perhaps the most straight-forward. The prophets had for centuries been accusing political rulers and the higher tiers of society of oppression and idolatry which would bring God’s judgment. It can be no surprise, then, that when the king, as well as many of the elite were dragged off to Babylon, those who remained believed themselves to be the favored remnant and those exiled to be the recipients of God’s wrath. Those remaining in Jerusalem had come to see themselves as the remnant, and the inheritors of God’s blessing, while the exiled seemed to be the evil corruptors of God’s people. V.2 Those remaining in Jerusalem had come to see themselves as different from those exiled. As far as they were concerned the Israel of the past could be divided into two groups, one blessed and one cursed – and they were the former. The contrasting description good and bad figs, would have resonated with the self-proclaimed remnant, under the assumption that they were the good figs, and the exiles the bad. If we return to the likelihood that the baskets of figs before the temple would have been suggestive of first-fruits offerings, we have the stage set for judgment and blessing. Like the offerings of Cain and Abel, we expect the good figs to be praised and the bad figs cursed. Again, thus far, the vision seems to fall right into line with the popular theology of those still in Jerusalem. Although thus far the vision has seemed to lend itself to the popular theology in Jerusalem, we now encounter a scandal. It is the exiles, not Zedekiah’s remnant, that God will “regard as good.” The entirety of verse 5-7 are replete with God’s promised blessing toward this group which many considered damned. God declares all the actions he will do on their behalf with emphatic first person language. Seven times God says “I will...” do something beneficial to the exiles. When God declares that he will regard them as good there is no assertion that they are “inherently good or deserve God’s favor. Instead, what qualifies those exiled as “good” is God’s good intention for them...” God’s election here is unconditional. “There is no indication of any quality of or action by those exiled that might have led God to this changed view of them.” Rather their only qualifying characteristic is that God had sent them away to the land of the Chaldeans. It seems that they are chosen to receive Israel’s blessings after, and perhaps because, they were also chosen to receive the discipline due to Israel. The language of God’s promised actions is reminiscent of Jeremiah’s call in chapter one. Jeremiah is called to “pluck up and to pull down, to destroy and to overthrow, to build and to plant.” This language is found elsewhere in Jeremiah 12:14-17 and in 37:27-28. The good figs will receive the beneficial elements among these from God, and not the destructive ones. The list of promises to the exiles constitutes a reinstatement of the covenant of Israel, now limited to those exiled in 597 B.C.E and with terms that are modified somewhat. Covenant is a major theme of the Old Testament, and several manifestations of the covenant emerge with specific recipients and terms. All of humanity receives the promise of the Noahic covenant – that the earth will not be destroyed again as in the flood. The Noahic covenant is universal and “has never been abrogated” so subsequent covenants do not replace it. The first covenant that God makes with a specific human is with Abram. God covenants to make of Abram many nations, a great blessing, and a great name. God’s covenant with Abraham is not for ALL his descendants, but for a line of them. The covenant is passed on to Isaac and not to Ishmael, to Jacob and not to Esau. Of Jacob’s sons, Judah is blessed above all his brothers. God’s covenant to Jacob is restated as the Mosaic covenant to the children of Israel. This covenant at Sinai is broken almost immediately by the people in Exodus 32-33. God suggests that the covenant promises be transferred to Moses and his progeny, but Moses protests and the covenant is “reestablished”. Deuteronomy tells of the “remaking of the Mosaic covenant with a new generation” but “there are some significant differences in emphasis which may suggest that this covenant qualifies the conditional nature of Israel’s unique relationship with Yahweh.” Deuteronomy also anticipates Israel’s failure to keep the covenant was well as the subsequent exile of Israel to the ends of the earth. Furthermore, Deuteronomy assures the nation that God’s ultimate purpose will not be thwarted—the exile will lead to repentance and God will circumcise their hearts. In Jeremiah 24 we have arrived near the horizon of Deuteronomy’s view. Israel has, as predicted, consistently been unfaithful to the covenant, and God sent some into exile as the conditions of the Moabite covenant dictate. Now, completing the promise of Deuteronomy, God will bring them back from exile and begin a new covenant with them, a covenant involving heart-change. But Jeremiah 24 has a startling addendum to this promise. Not all of Israel will participate in this new covenant. Rather, it will be only for those who experienced the exile of 597. It is God’s prerogative to narrow the covenant, as shown through out covenant history, but especially because Israel has been unfaithful to the covenant. The covenant will now be strictly with those taken into exile in 597 B.C.E because “only the community that has gone under judgment will come out the other end” as remnant. 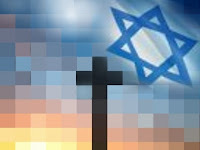 ...nothing less than a total break with their sinful past was now the only way in which the future of Israel as God’s people was possible...This explains also why the exiles are regarded in chapter 24 ...as those who were now the object of God’s promises of blessing and restoration for the future. For the judgment of exile more than anything else was seen by the great prophets of the time as the very means whereby the new beginning for God’s people was to be achieved. This covenantal language taps into a theme of Jeremiah. God, in Jeremiah, often refers to Judah as “this people” – a phrase which is found throughout the Old Testament everywhere connoting distance between God and Israel. Jeremiah uses this language throughout to convey the relational distance that has left the covenant in shambles. By contrast Jeremiah uses “my people” language to connote nearness, compassion, intimacy and most importantly covenant. This, too, is common in the Old Testament, appearing in Exodus and Isaiah in contexts where God is feeling compassion and closeness with Israel, often because they are being oppressed. This new covenant with the exiles will have new recipients and will also have new terms. God will “give them a heart to know that I am the Lord.” This is in stark contrast to the accusations Jeremiah brought against Judah of having “an uncircumcised heart (4:4) a wicked heart (4:14) a heart engraved with sin (17:1-2).” The idea of heart-renewal finds its earliest source in Deuteronomy 30:6 where God declares that he will “circumcise” their hearts. Jeremiah elaborates on the terms of the new covenant in Jeremiah 32:27-34. This includes a change of heart: “I will put my law within them, and I will write it on their hearts; and I will be their God and they shall be my people.” This phrase is distinctly covenantal language. This excursus into the nature of the renewed covenantal relationship between God and Israel is central to the meaning of this text, and even to the whole of Jeremiah. God, in keeping his promise to Abraham, has made a new selection of whom he will call “my people” from within that nation who had squandered their covenant with God. I must comment on the nature of the closing clause of 24:7 – “...for they shall return to me with their whole heart.” Some, such as Zimmerli, have seen in this phrase a conditionality: “the promise of salvation...is conditional upon their conversion.” In other words, he suggests that God will confer upon the exiles this covenant because they will repent. Others, like Bracke conclude that: “the last phrase of verse 7 needs to be understood as the consequence of the gift of a heart to know God” not the condition of God’s favor. Whether or not God’s election is contingent upon the repentance of the exiles does not seem to be the thrust of the passage. Rather, God is confident that the experience of exile will drive the exiles back to him with their whole hearts. This repentance is not the source of their election; its source is in the God who “sent them away from this place to the land of the Chaldeans.” In this sense, they were chosen for blessing before repentance, because they were chosen for the discipline that leads to repentance by which they become the covenantal remnant. As we will see those who remained in Jerusalem were not drawn to repentance by the exile of the powerful in 597 B.C.E. Instead, the first wave of exile was for the remnant in Jerusalem an occasion for pride. God’s pronouncement of judgment on Zedekiah and the remnant in Jerusalem in introduced with a divine utterance formula and is as striking as his blessings upon the exiles. After the exile of 597 B.C.E. “those who remained seem to have been full of optimism for the future.” The people were pleased with their new leadership, but God’s judgment of the situation was in stark contrast. Zedekiah and his court are considered apparently typical of the condition of Judah; it fitting to compare the people to rotten figs. The reference to “those who live in the land of Egypt” has been interpreted in several ways. The most popular reading understands it to refer to the considerable emigration to Egypt in the aftermath of the second wave of exile in 586 B.C.E. Others interpret “those living in Egypt” as referring to those in Jeremiah 42:17ff who disregard Jeremiah’s words and settle in Egypt. This connection is not hard to see, given the similarity of Jeremiah’s language. In both chapter 24 and 42 Egypt-dwellers are threatened with sword, famine and pestilence and an absence of any survivors. This sword-famine-pestilence trio is characteristic of Jeremiah’s designations for the wrath of God on Judah. In either reading, it seems that the final result is that everyone who was not exiled in 597 B.C.E. is cut off from the covenant, regardless of when or if they went to Egypt. It is worth noting, though, that Jeremiah offers those who remain in the land a way of mercy and restoration in chapter 42, which they reject. The condition is that they not flee to Egypt, which is clearly what they intend to do. The debate about who Jeremiah is referring to as having settled in Egypt is tied to the question of dating the passage. Some have attempted to date it post-587 B.C.E. by tying it to the emigration after the second wave of exile. With key commentators, I find this attempt unpersuasive. Verses 9-10 are full of vocabulary often used by Jeremiah to describe the catastrophic fate of Judah. In Jeremiah’s dual calling, to plant and uproot, the burden of destruction is to fall on the bad figs. The key prediction among these is that Zedekiah, his officials and the remnant of Jerusalem will be “utterly destroyed from the land that I gave to them and their ancestors.” God will leave them none of them to inherit the covenant. To be cut off from the land is to be cut off from the covenant. Jeremiah is popularly called the “weeping prophet” and it is here that we get a hint of what might be the source of his depression. God has given Jeremiah a message of despair to those like him, who have not been exiled. Jeremiah, though he has a special commission from God to prophesy, has apparently been cut off from the covenant along with his audience. There is some humor in the use of “remnant” in verse 8 to refer to the group which will have no remnant, and which in fact is not the remnant who will receive God’s covenant. Of course, Jeremiah refers to them as the “remnant” because that is how they thought of themselves, as we have already discussed. As the survivors in the land they believed they were those left to continue in privileged relationship with God. There are two subjects of contemporary relevance that Jeremiah 24 speaks to. The first is election and the second is redemptive punishment. Now back to that friend who asked me: “How do you deal with people who are completely pro-Israel, thinking that we [the U.S.] had better be on their side come Armageddon?” I began talking about Jeremiah 24. I explained that according to this text, as well as others, the nature of God’s covenant with Israel is not as static as some suppose. If God’s covenant with Israel could be transferred to only a few within Israel, Christians might wonder if a similar transfer of covenant occurred in the Christ-event. Was Christ, and those who came to him, the new recipients of the covenant with Abraham, with the rest cut off? Paul seems to say “yes” and “no”. Yes, we are the inheritors of the covenant, but no, God is not done with Israel as a people group. As Israel and Palestine continue to wage an old war, Jeremiah 24 ought to give pause to those who would support Israel unconditionally under the assumption that God’s covenant with them is unconditional and unchangeable. The changeability of God’s election of a nation and people, as discussed above, has a corollary application for the Reformed individual. As a Presbyterian student who wrote a paper on Calvin’s view of predestination, and who has studied Lesslie Newbigin’s doctrine of election, I am intrigued by the revocation of election in this text. Jeremiah challenges the people of God with the reality of God’s right to cut off those whom he had formerly elected when they fail to keep the covenant. As elect individuals in covenant with God, we may not carry on in complacent confidence about the perpetuity of election. Of course Jeremiah 24 also offer a word of comfort about election. Namely that it is, if not perpetual, at least initiated unconditionally. The Babylonian exiles became the heirs of the covenant irrespective of their quality. They received the covenant not because of repentance but on the basis of God’s choosing. Jeremiah 24 can be a wonderful affirmation of sola gratia. The Calvinist Christian can take comfort in the fact that election is not on the basis of merit, but of pure grace. In sum, Jeremiah’s assessment of election is that it is initially unconditional, but not perpetually unconditional. The church can respond the prophetic message of Jeremiah 24 regarding the election of Israel by first attempting to trace out the rest of covenant history in Scripture so as to discern the place of the nation of Israel at the present. Did the whole of the covenant pass through Jesus Christ, leaving all Jews who did not come to him like Zedekiah – cut off from the covenant? Paul seems convinced that God is not done with the people of Israel, and yet he speaks of the church as the new, real Israel. What we believe about covenant history informs the way the church influences our international politics. Jeremiah 24 invites many Christians to reconsider their unwavering support for Israel. The second response called for by Jeremiah’s view of election is that the church find a better balance between confidence in God’s unconditional election and fear in the light of God’s conditional favor. Churches must warn their members against behaving like Zedekiah and his cohort who persisted in disobedience and were finally cut off from God’s grace, becoming recipients of his total wrath. Jeremiah’s pronouncement also speaks to an issue that is always contemporary – the punishment of God’s people. It was not long ago that Ted Haggard was exposed for his relations with a male prostitute and use of drugs. One of the wisest comments I heard in the aftermath of this was by one of his pastoral colleagues who said, “As hard as this has been, Ted’s in a better place today than he was before all this got out.” Indeed, he had been placed on the road of restoration and removed from his secret path away from God. Jeremiah 24 invites us to see punishment as the blessing of continued covenant. We should not fear punishment so much as its absence. Even as Jeremiah reveals that those who suffered in exile are the new chosen of God, we must consider the sanctifying promise of God’s punishment. Shockingly, it is those who look like they have fallen out of God’s favor that are favored in this text. Precisely because they were loved they bore Israel’s promised punishment. Punishment is sometimes grace. Judgment was, for the exiles, both the gateway to favor and an indicator of it. The exile meant that God had not given up on his people, and the participants in the exile were to be the new people of God. Jeremiah 24 does not invite us to view all suffering as the discipline of God, but when it seems that God is allowing us to reap what we have sown we need not fear that God has abandoned us. In fact, it may be a sign that God is still looking upon us for good. It can be hard to distinguish exile (good) from destruction (bad), and Jeremiah 24 does not resolve this difficulty, but it does offer hope to those who feel that they are being punished by God. The redemptive nature of punishment emerges also in the New Testament. Hebrews 12: 5-11 urges us to “Endure trials for the sake of discipline” reminding us that while discipline seems painful, it produces the “peaceful fruit of righteousness.” The church must respond to this prophetic message by looking for the grace of God when we reap what we have sown. The decline of mainline churches may be an example of this reaping. Indeed, few things can bring a congregation to repentance like empty pews. When the church and its leaders fail, we must take heart, not fearing that God has abandoned us, but looking for an appropriate response of repentance. The aim of Jeremiah's vision is two-fold. First, it pronounces that those who thought they were the future of God’s people but who had continued to reject God, would be finally and utterly rejected. Second, those who received the punishment that drove them to repentance were to be the new heirs of the covenant. The covenant-making God has chosen to reassign and redefine the covenant because of Israel’s persistent unfaithfulness. Some who had once been members of the covenant community were removed and those who were supposed to be rejected, were confirmed. Thus “chapter 24 forms a climax because it destroys the last complacent hope of the Jerusalem remnant that judgment has been completed in the exile of 597” and placed that hope in an apparent lost-cause. True to his commission, Jeremiah has uprooted the hopes of the Jerusalem remnant, and planted hopes in the Babylonian exiles. May our complacency be similarly uprooted, and our gratitude planted. Bracke, John M. Jeremiah 1-29. Westminster Bible Companion. Louisville, KY: Westminster John Knox Press, 2000. Bright, John. Jeremiah. The Anchor Bible. Garden City, NY: Doubleday and Company, 1964. Craigie, Peter, Page Kelley and Joel Drinkard Jr. Jeremiah 1-25. Word Biblical Commentary 26. Dallas, TX: Word Books, 1991. Green, James L. “Jeremiah.” The Broadman Bible Commentary 6: Jeremiah – Daniel. Nashville: Broadman Press, 1971. Job, John B. Jeremiah’s Kings: A Study of the Monarchy in Jeremiah. Burlington, VT: Ashgate, 2006. Jones, Douglas R. Jeremiah. New Century Bible Commentary. Grand Rapids: Eerdmans Publishing, 1992. McKane, William. A Critical and Exegetical Commentary on Jeremiah. International Critical Commentary. Edinburgh: T & T Clark Limited, 1986. Nicholson, Ernest W. The Book of the Prophet Jeremiah Chapters 1-25. Cambridge: Cambridge University Press, 1973. Pixley, Jorge. Jeremiah. Chalice Commentaries for Today. St. Louis: Chalice Press, 2004. Roncace, Mark. Jeremiah, Zedekiah, and the Fall of Jerusalem. New York: T & T Clark, 2005. Saldarini, Anthony J. “The Letter of Jeremiah.” The New Interpreters Bible Volume VI. Nashville: Abingdon Press, 2001. Thompson, J. A. The Book of Jeremiah. NICOT v. 24. Grand Rapids, MI: Eerdmans, 1980. Unterman, Jeremiah. From Repentance to Redemption: Jeremiah’s Thought in Transition. Journal for the Study of the Old Testament: Supplement Series 54. Worchester: Sheffield Academic Press, 1987. Williamson, P.R. “Covenant.” Pages 139-155 in Dictionary of the Old Testament: Pentateuch. Edited by T. Desmond Alexander and David W. Baker. Downers Grove: InterVarsity, 2003. Zimmerli, Walther. The Fiery Throne: The Prophets and Old Testament Theology. Minneapolis: Fortress Press, 2003. Really appreciated you posting this meaty piece of theology and biblical history, and drawing some current event connections. We would do well to understand and appreciate God's redemptive discipline at a societal and person level here in our own nation, don't you think? I only had time to skim but even in skimming found some very thought provoking, truth resonating comments. Thanks for the comment -- this issue (the shaping and reshaping of the covenant) is old and deep for god's people. Even those of us that claim a new covenant, tend to view the old one as static - rather than the antecedent to ours. Hmm, yet . . .
they are enemies of the gospel . . . yet beloved for the sake of the fathers . . . God's calling is irrevocable, Rom. 11:28-29. I don't think you've thought this through well at all. I appreciate your comments, but pointing to other verses (particularly those written centuries later) is not a way of arguing with an interpretation based in the context of Jeremiah.